They say travel is the only thing you can buy that makes you richer, and it’s true on many levels. More than just an escape, travelling has this wonderful way of educating you – about the world, as well as about yourself. It’s an interesting way to challenge yourself and face your fears; you’re sure to make a self-discovery, big or small. That brings us to adventure sports, often found on many bucket lists in the form of bungee jumping or skydiving. While these activities were once hard to find locally, India now has many outlets if you’re up for some adventure. They may still seem like the domain of adrenaline junkies, but we think everyone should give them a go at least once. Water sports lead the pack and are relatively harmless; Goa is a favourite and hotspot for the gamut of sea-related activities, but the spectrum is much broader. Check out these amazing hotbeds of adventurous activity. Scuba comes from the term ‘self-contained underwater breathing apparatus’ – the getup you wear when you go underwater. It might not make sense at first, but when you consider India’s miles upon miles of coastline, the country boasts some excellent places for scuba diving. One of the best is the waters of the Andaman & Nicobar Islands. Kavya Vinod, who went scuba diving on her trip there, believes the Andamans are the ideal dive destination. Instructors are easily available, prices are nominal (Rs. 4,500 for a session), and you don’t need to worry about losing your way or your nerve – an instructor will guide you through every step of the process. In fact, you don’t even need to how to swim! 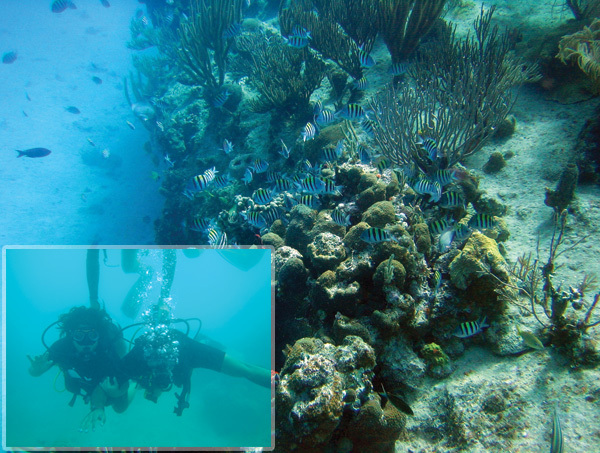 For the more adventurous, there’s the Deep Sea Diving three-day course, which costs between Rs. 15,000 and 20,000. Another great dive destination is Lakshadweep, namely the islands of Kavaratti and Kadmat, where it is most popular. If the Maldives is on your to-do list, a trip to Lakshadweep provides a glimpse of the same dazzling blue waters and ocean life (the two sets of islands share the same waters). If you want some options a little closer to home, try Goa and Netrani. The waters may not be as transparent as those in the Andamans or Lakshadweep, but it’s a worthwhile experience. The best season for Goa is between October and May, and several scuba spots can be found in and around Grand Island. As for Netrani, an island some way off the coast of Karnataka, expect to spot some beautiful sea life there; the best time to visit this hidden gem is in December and January. Snorkelling is another water sport that’s gaining popularity. Similar to scuba diving, it’s done at a much shallower depth, so there’s no need for any prior training or instruction. As well as the evergreen destination that is Goa, several places across India offer snorkelling. For most of the same reasons that make them ideal for scuba diving, the Andamans and Lakshadweep are perfect spots to go snorkeling as well (often at the same locations that offer scuba diving). Additionally, the Konkan Coast in Maharashtra, Goa and Karnataka is a great option. A beach in Tarkarli offers would-be snorkelers a glimpse of some intriguing sea life – colourful coral and a plethora of underwater creatures make for extraordinary sights. If you’re lucky, you might just spot a sea turtle, eel or spotted ray! Let’s get back on land. 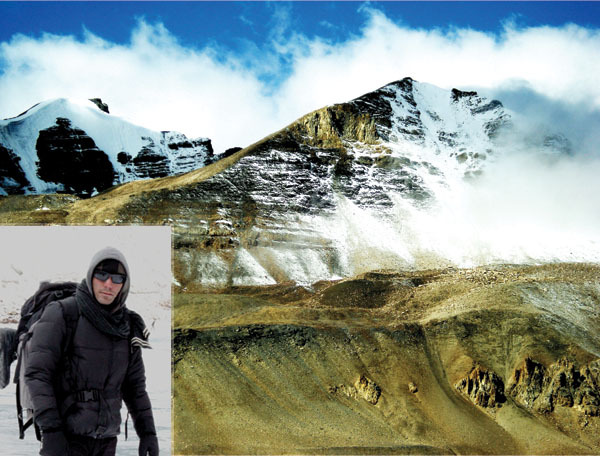 India has a rich mountaineering history and culture, and many institutes offer training and courses for enthusiasts. This ‘hilly heritage’ is thanks to the iconic Himalayan peaks, making India quite the mountaineering destination – Dungri La, Khardung La, Chang La, and Rupin Pass are all great options. Remember that mountaineering is a tricky activity. If you’re keen, you’ll need to be in great physical and mental shape. Mountaineering’s arduous nature takes a toll on both mind and body, so it requires perseverance and practice. Apart from the mountains testing your will and stamina, your body will experience a range of severe weather conditions. Done on water but usually located in the hills, whitewater rafting is an exciting sport that has become increasingly popular in India over the last few years. It can be quite dangerous, too – after all, you’re navigating an inflatable raft through a rapidly flowing river with unpredictable drops. 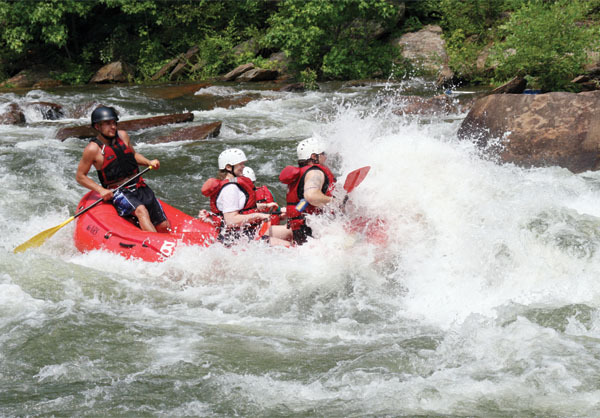 Conditions may vary in intensity, but water rafting is more often than not a tough yet thoroughly invigorating adventure. India has plenty of spots that provide a range of rafting conditions. 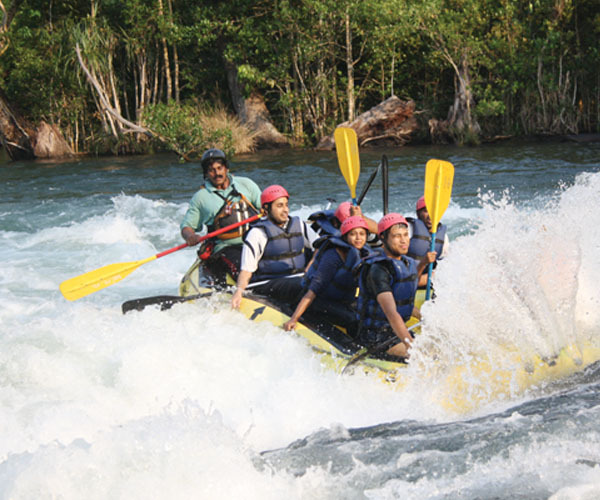 Dandeli in Karnataka is popular, and provides rafters with different terrains. Rishikesh is another great spot, the Ganges giving rafters a long stretch to cover; tough or easy, the Rishikesh rapids provide all sorts of conditions. Other prime locations include the Bhagirathi, Alaknanda, Kundalika and Teesta Rivers. 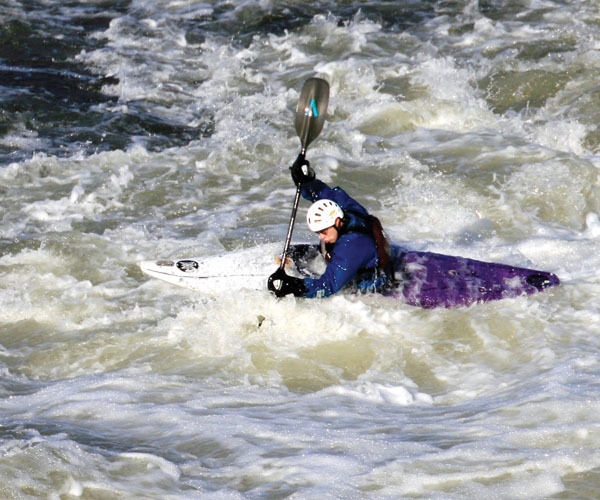 A kayak is a long boat tapered on both ends, and often accommodates one person (two people at most). You can go kayaking on the same rapids used for whitewater rafting, or on a more serene body of water. The Kali, Ganges and Brahmaputra Rivers are some of the more popular kayaking locations in India. But bear in mind that the sport requires some amount of training – kayaking sites will provide all the necessaries. What could be more thrilling than scaling the peaks of land? Try jumping out of an airplane and into the air, with an unbelievable aerial view of the earth below. There are a variety of skydiving methods – static line, tandem and accelerated freefalling; none are for the weak of heart. The sport fascinated India for years before making a domestic entry. It’s still relatively new – there aren’t too many places that offer assistance. 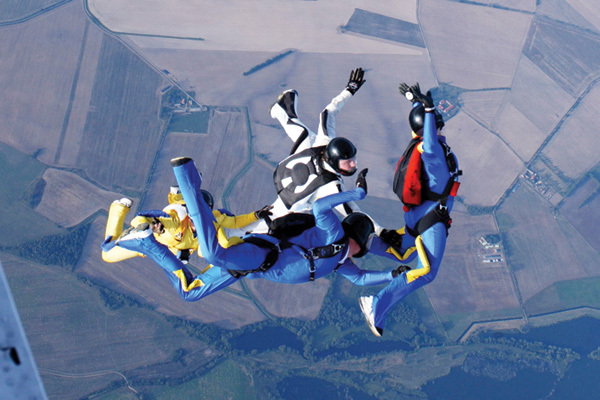 Deesa in Gujarat was the first place to have a certified drop zone, and Aamby Valley in Maharashtra offers skydiving throughout the year; Mysore and Puducherry organise skydiving camps every now and then. Still, if this sport strikes your fancy, we recommend that you venture overseas to try it out. Skydiving entails a freefall with the help of a parachute, but paragliding is much more leisurely. Kept in the air with the help of a glider, you can go as long as a couple of hours and cover vast distances. Few things are more surreal than gliding across stunning expanses of land (the Serengeti and Ghats comes to mind). Try Billing in Himachal Pradesh, Nandi Hills in Karnataka, and Kamshet in Maharashtra if you want to give this sport a shot. 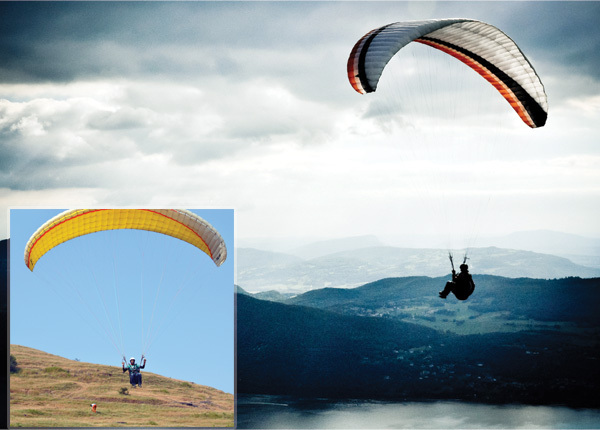 We recommend Billing, which has received attention from international paragliding circles. Don’t worry about training, either; courses last a few days and include all the necessary instruction.